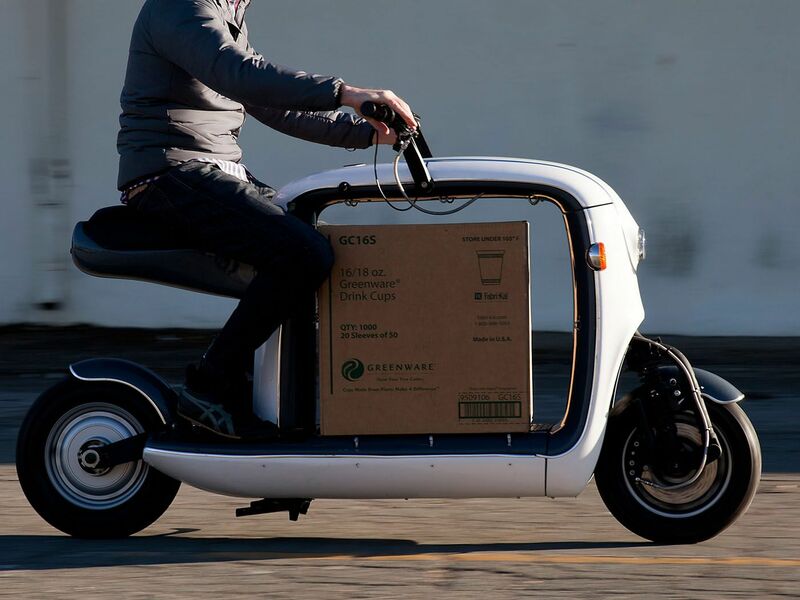 The Kubo is an electric cargo scooter from a innovative company from San Fransisco, U.S., famous for it’s self balancing 2-wheel C1 electric car. 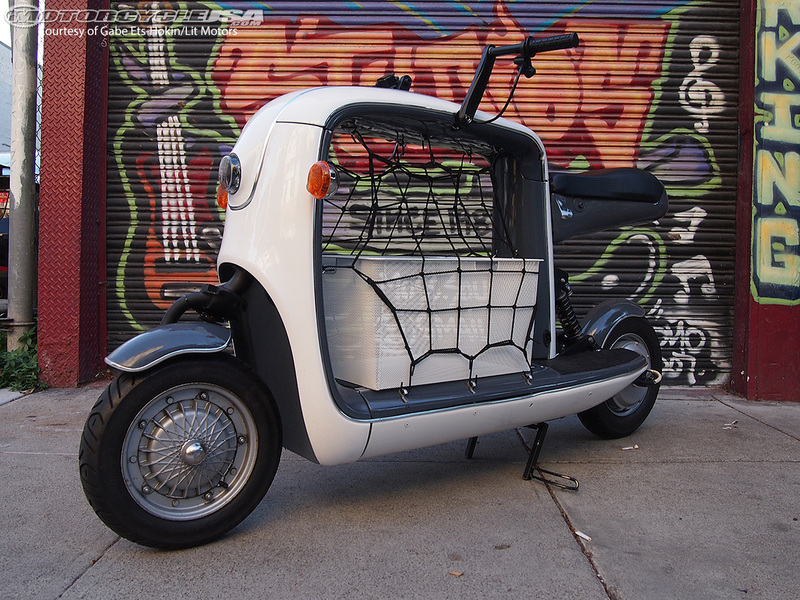 The Kubo (read: “koo-bo”) has a unique 22″ storage capacity that can be used with a variety of rails and hooks. 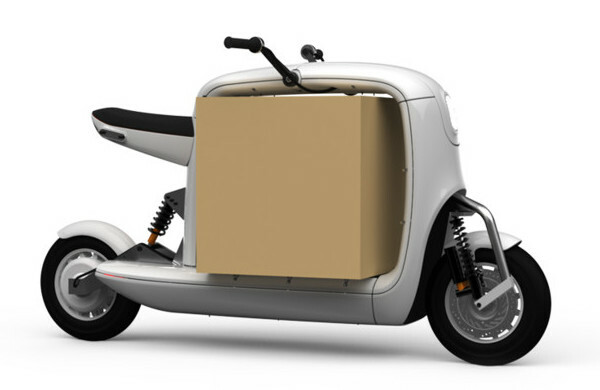 The scooter is like a pickup truck on 2 wheels and provides a unique low-cost transportation solution for bigger cargo. 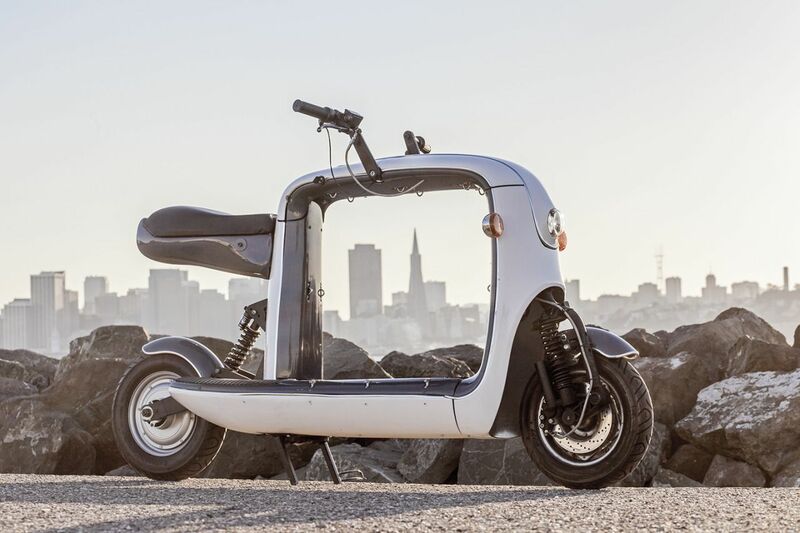 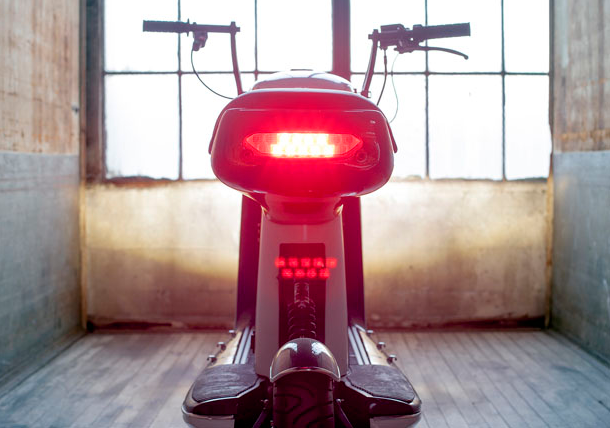 The scooter has a powerful 3,000 watt rear-wheel electric motor and a top speed of 70 km/h. 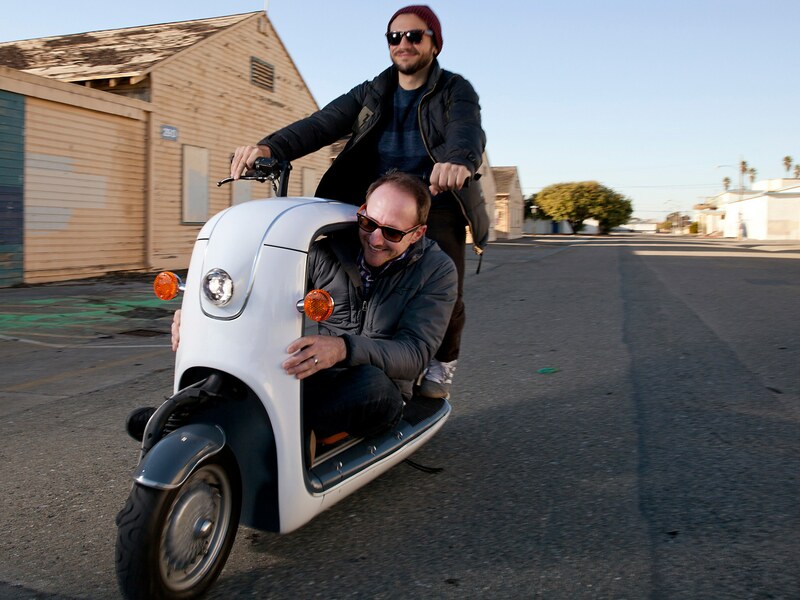 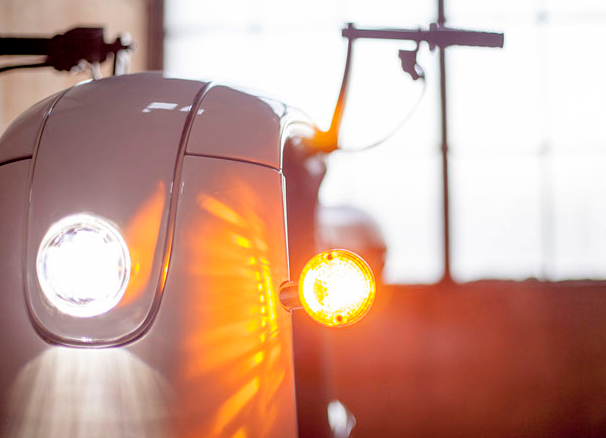 The scooter is equiped with a 3.8 kWh Lithium battery that is positioned in the floor of the scooter to provide a low center of gravity and a efficient and stable driving experience in dense city environments. 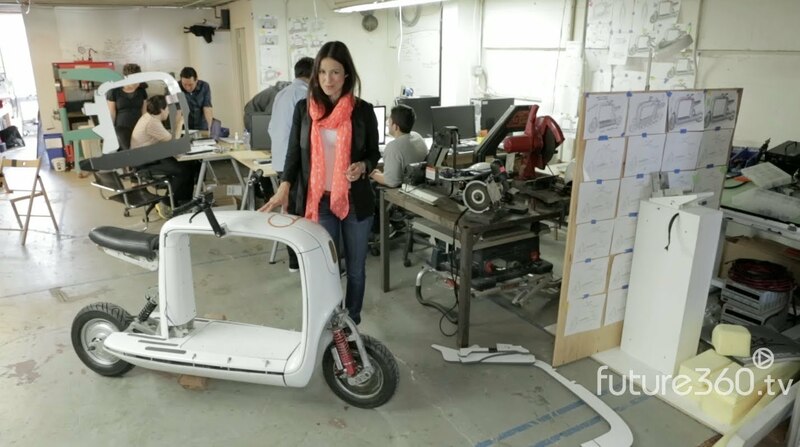 The scooter can be ordered in any color and with a custom business print and logo.